Film-maker Anu Gunn used our free Star Wars models in his fan film, Star Wars: The Mission. 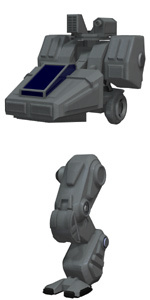 The B-Wing and X-Wing fighter models were animated in Poser Pro and then composited behind the live-action footage. The models were originally made by John with textures by mrsparky. 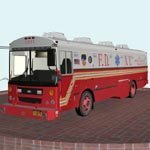 We were hired by FAAC Inc, to deliver two bus models for use in a fire department training scenario to compliment the previous fire truck models. 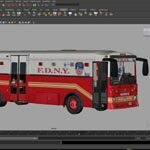 Like the fire trucks, both bus models were converted to OpenFlight format and were further rigged with moving parts and dashboard controls. 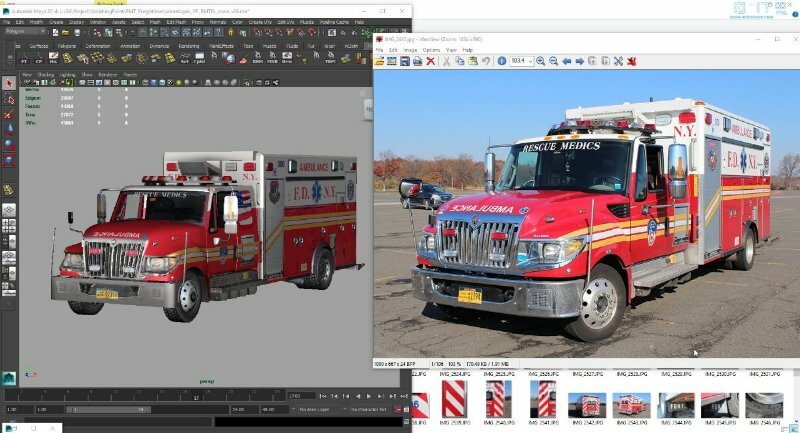 By using Vanishing Point's services, they were able to expand their fleet of digital vehicles and provide a more realistic simulation to their client. FAAC has been providing systems engineering software products to the U.S. government and private industry for over 30 years. They've been involved with distributed simulations since the very beginning and their experience in weapon simulations and DIS expertise have led to numerous Department of Defense programs and business in the commercial sector. 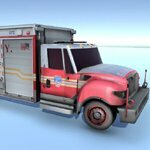 We were hired by FAAC Inc, to deliver two fire truck models for use in a fire department training scenario to be delivered to their own client. 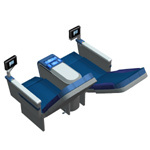 Both models were converted to OpenFlight format for use within their simulation software and were further rigged with moving parts and dashboard controls. By using Vanishing Point's services, they were able to deliver their training scenarios ahead of schedule while staying within budget. 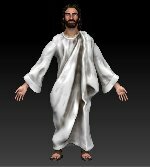 Our developer, Moscowich80, modelled and rigged a low-polygon figure of Jesus Christ for use in Microsoft's AR (augmented reality) goggles. 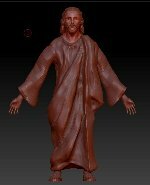 The figure was also animated to give the Lord's Prayer... and with the HoloLens technology, it's like the figure is giving a sermon in the user's family room or outside. 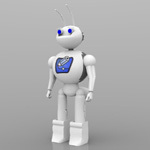 Contracted by a client to make a series of mech robot parts (such as arms, legs, and torsos) that could be mixed and matched to create full robot models. All of the parts were rigged for use in Poser, which included moving feet, arms, and even fingers. The client also asked for a cockpit interior so he could make action scenes showing the pilot at the controls of the mech robot. 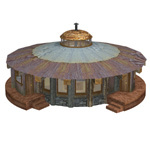 This model included walls that could be hidden and moving control sticks. 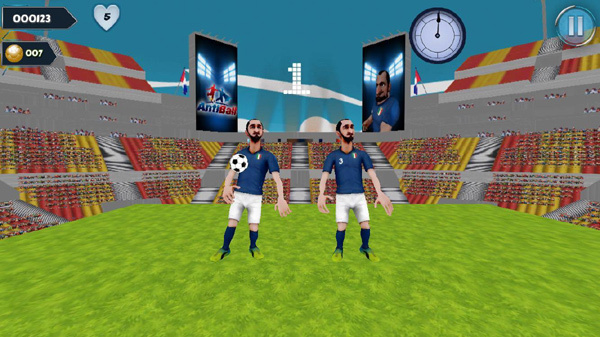 Our developer, Moscowich80, modelled a football/ soccer player based on the Italian player Giorgio Chiellini, which was then rigged in Unity format and used in a game called Euro Football Run. 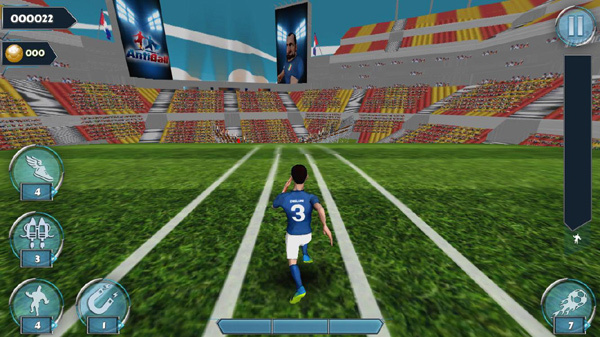 The game is described as, "Test your skills, speed, endurance, and reflexes as you join Giorgio in this adrenaline-charged, high-speed, action-packed Euro Football Run game!" 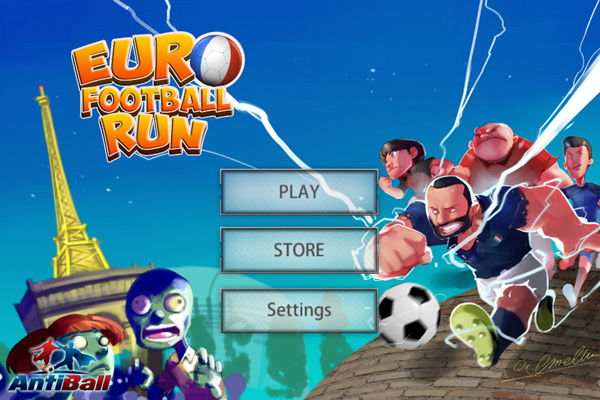 You can download the game (for free) from the iTunes or Google Play stores. Cleaned up a house model for a client. 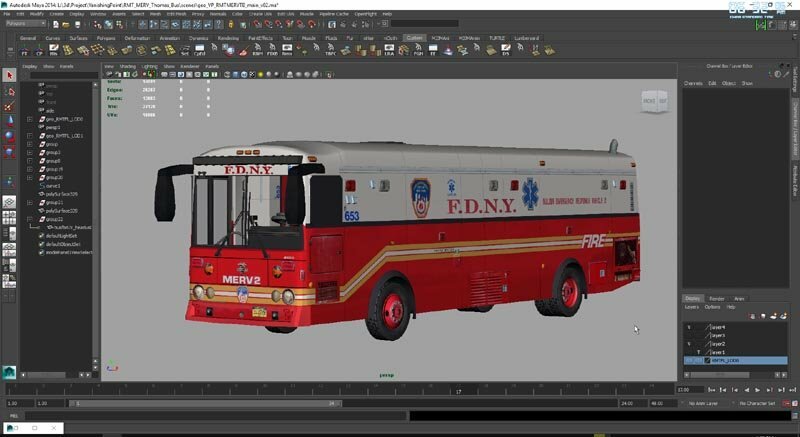 This involved importing the 3ds version into Lightwave, cleaning up the mesh, cleaning up the material names, assigning groups (such as walls and doors), cleaning up the UV maps and textures, and rigging it for use in Poser. A customer asked us to make a new version of the "Someone hung a nickname on it: Blue Thunder" image, which would be printed as a poster. It turned out that the customer was requesting a size of 70x50cm and a resolution of 200 dots per centimeter. This resulted in an image size of 14,000 x 10,000 pixels... which is one of the largest images our team has ever made! 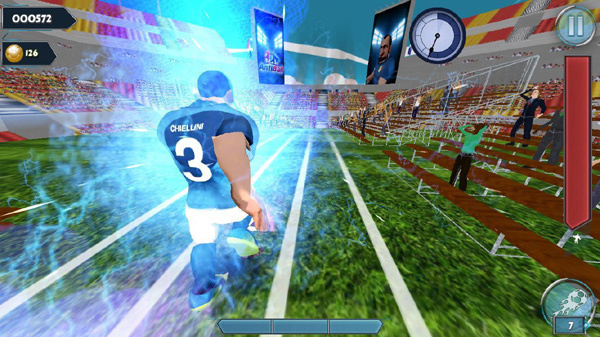 We were concerned that Poser Pro 2012 wouldn't be able to render an image that large, but there were no problems at all. 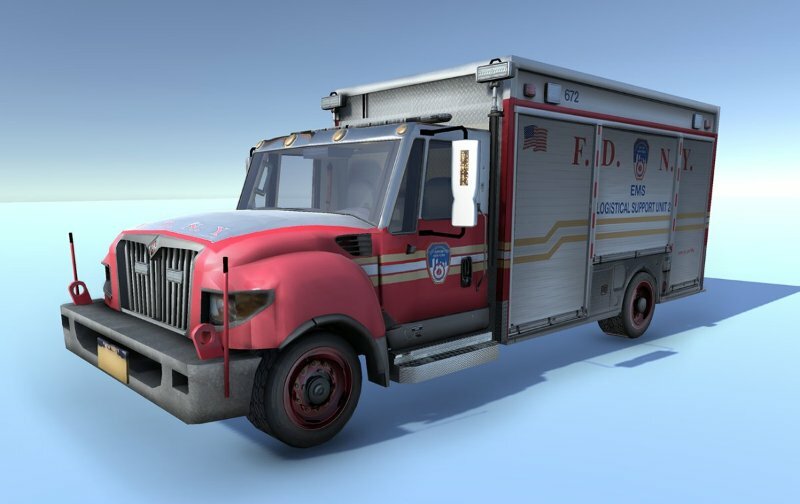 Sure, it took a few hours to render and then a minute or so to export it from Poser, but that's it. 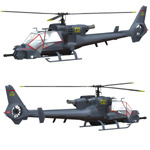 A customer asked us to upgrade the existing Blue Thunder model so she could use it in a fan film project. This involved making numerous adjustments to the existing model, which was originally created in 2004. 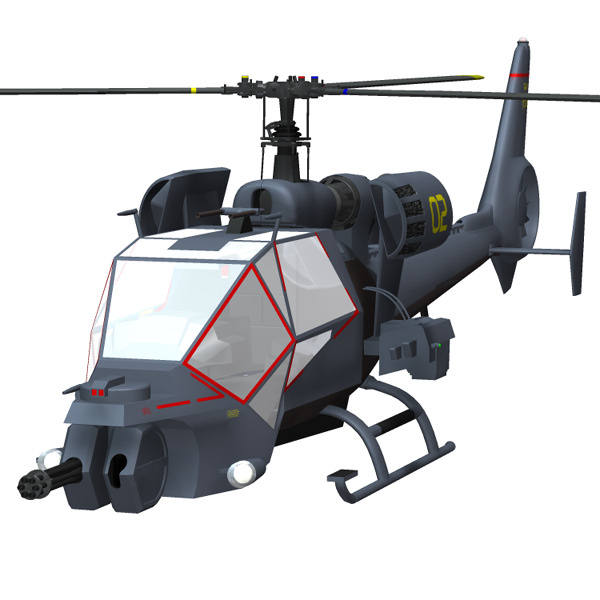 The front cannon section was added to the geometry (rather than a separate prop), the rear tail section was completely remade and a rear blade was added, the upper blades can be flexed up and down, the headlights can cast ambient light, the model was remapped, and new texture maps at 2048x2048 were created. Our team created a model of an airline seat, typically found in the first-class section of an aircraft. 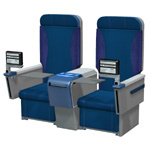 Included reclining seat backs, adjustable foot rests, arm-mounted TV's, and tray tables. 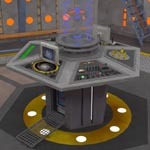 Our team created a sci-fi control room with a center console, inspired by the TV show, "Doctor Who". As is usual for our models, the features on this included: walls and ceiling which can be hidden, opening doors, rotating controls, and more. 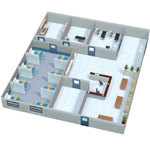 Our team created renderings of a hospital interior and long-term facility for a medical equipment supplier. 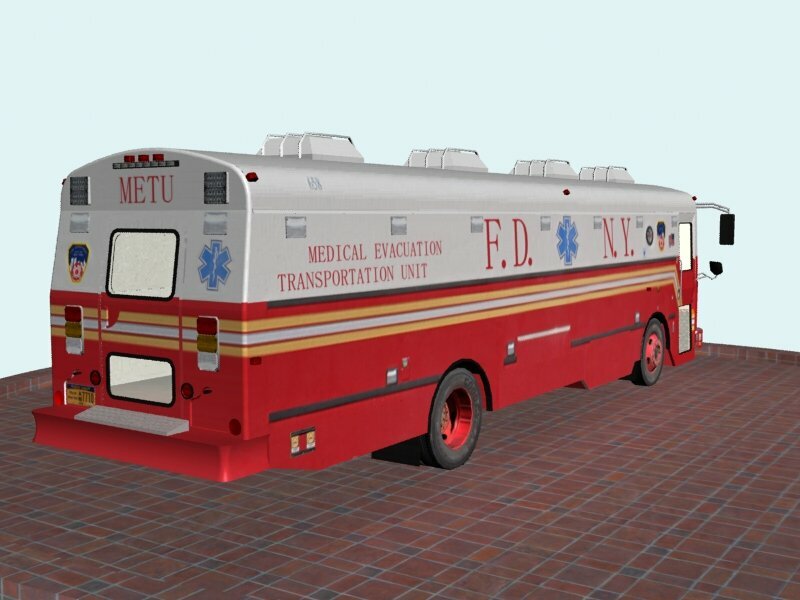 The renderings were used to show how their equipment would be used in various locations throughout a facility, including: the nurses' station, emergency care ward, and the examination rooms. 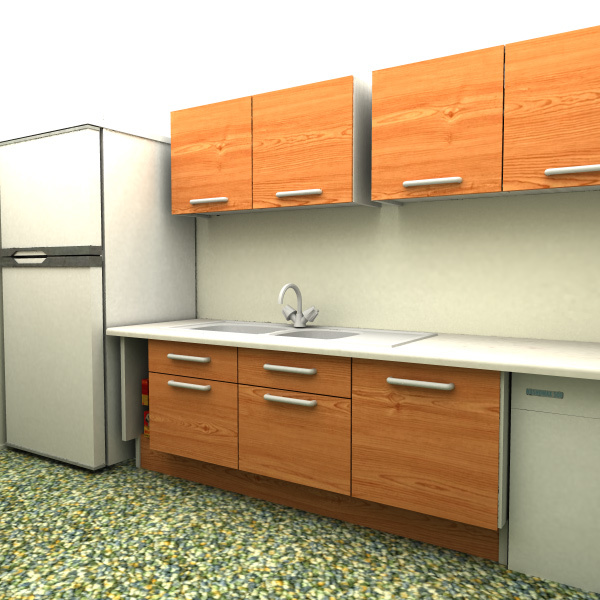 The client supplied us with CAD files, which we converted to obj format, cleaned up, imported into Poser Pro, and then rendered the images. The final hospital model included a patient ward, a nurses' station, a reception area, an emergency entrance and ward, doctors' exam rooms, and a pharmacy. After all the equipment models were put in place, the model came to over 850,000 polygons. 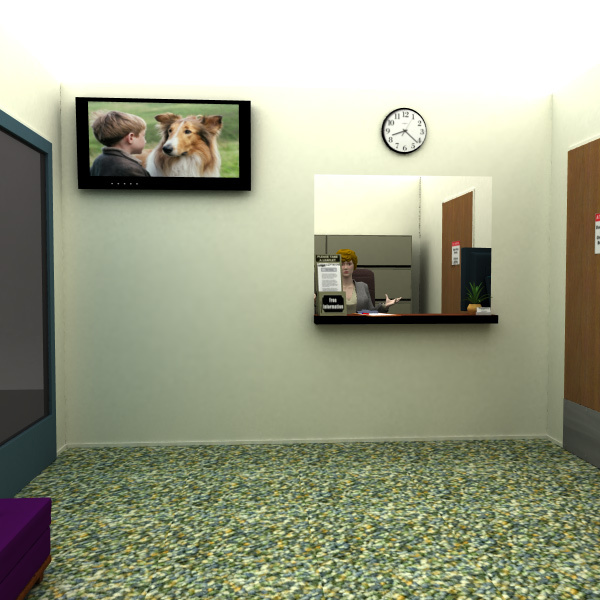 The long term facility model included patient rooms, doctors' exam rooms, and a reception area. 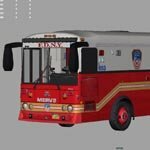 This model came to over 750,000 polygons. 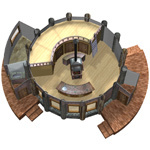 The "doctors' exam rooms" were created with parts from the Medical Examination Room, the waiting areas were created with parts from the The Reception Room Set, and some medical equipment was created with parts from the The Operating Theatre. 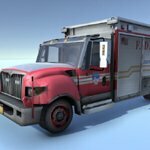 Our team created fully rigged, conforming Coast Guard style clothing for use in Poser for a naval e-learning company. The models included a full range of safety equipment, including: survival suit, life jacket, helmet, goggles, boots, and more. 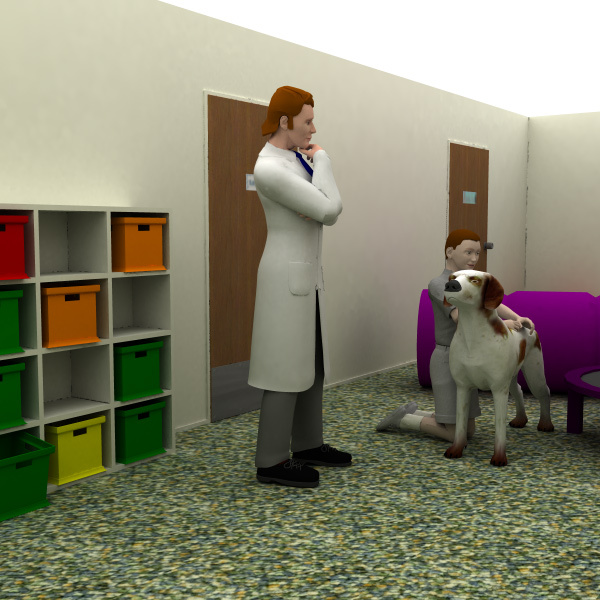 Helped develop an interactive model of a prototype animal therapy clinical facility as part of a student project at Adventist University of Health Sciences. 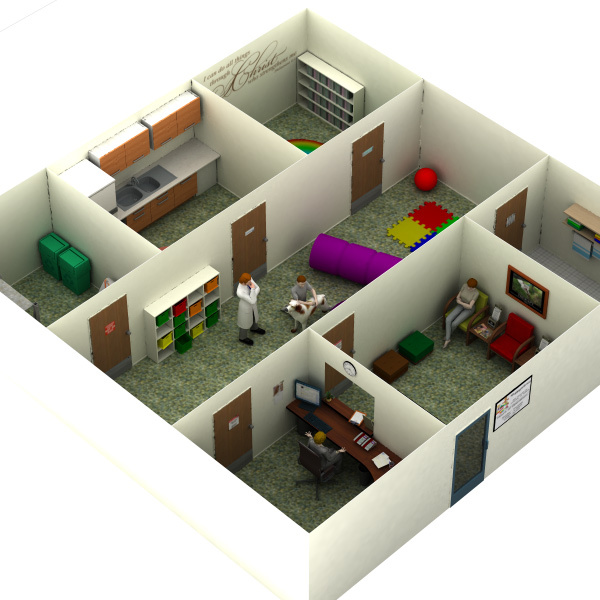 The students were instructed to build a model of a clinic and the group I worked with chose to create a digital model. The model has over 410,000 polygons and is divided into separate rooms: an office, a reception area, a bathroom, a reading room, a kitchen. Each room includes details such as: a desk with a computer and papers, chairs, kitchen sink and refrigerator, storage shelves with dog food, books and bins on shelves, and a boy (and therapist) interacting with a dog. Hired by a company that makes interior spaces and furniture for the PlayStation Home. 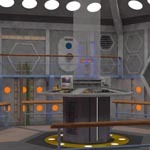 The project involved reducing the mesh of the Starship Bridge 13 model and creating an all-new "ready room" with a low enough polygon count to be used in their PlayStation Home environment. 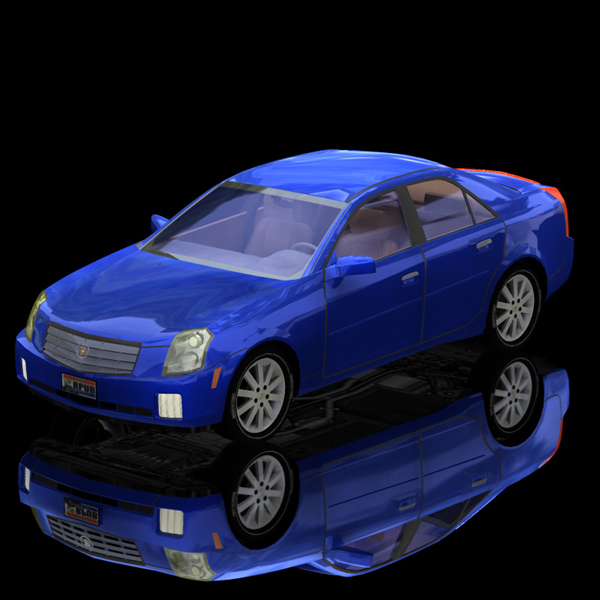 Converted and rigged car models for Renderosity, for sale under their RPublishing brand. 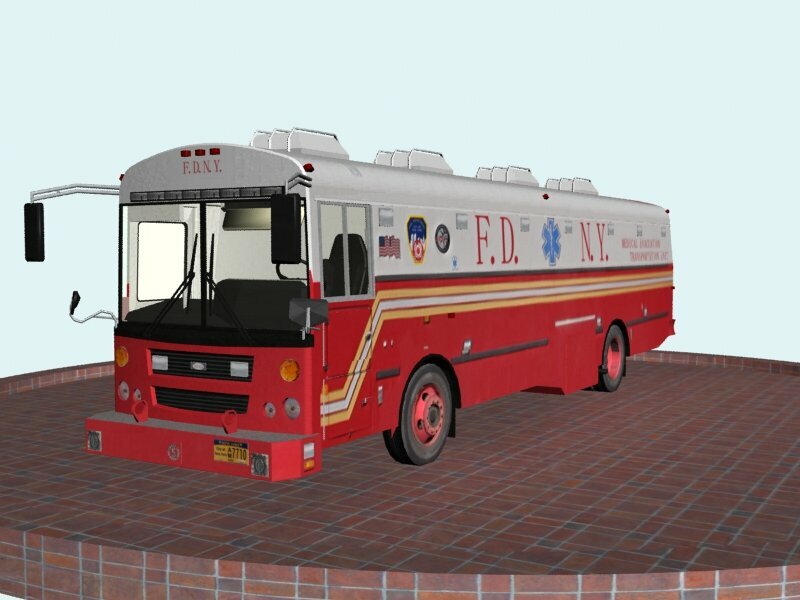 This service included making new parts, filling in missing parts and polygons, editting the joint centers for the parts, all new-mapping mapping, and all new textures. 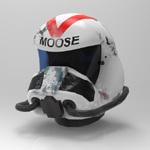 Our team created science fiction clothing and models for a fan-project based on the Wing Commander video games. 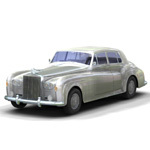 Converted and rigged a Rolls Royce Silver Cloud car model for use in Poser. 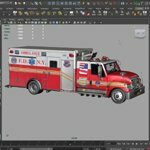 This process included making new parts, editting the joint centers for the parts, all new-mapping mapping, and all new textures. 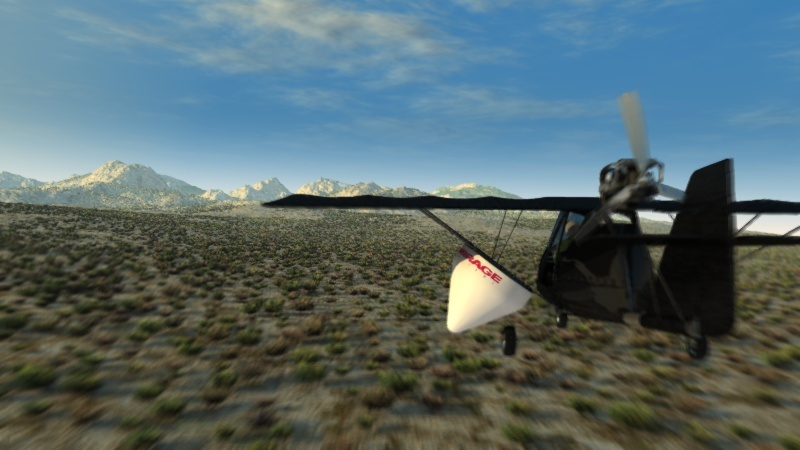 Vanishing Point created a digital Ultralight model for K. Pyne, then partnered with Creavision to create a 2-minute animation showing how the Ultralight aircraft could be used to fly over mineral deposits. 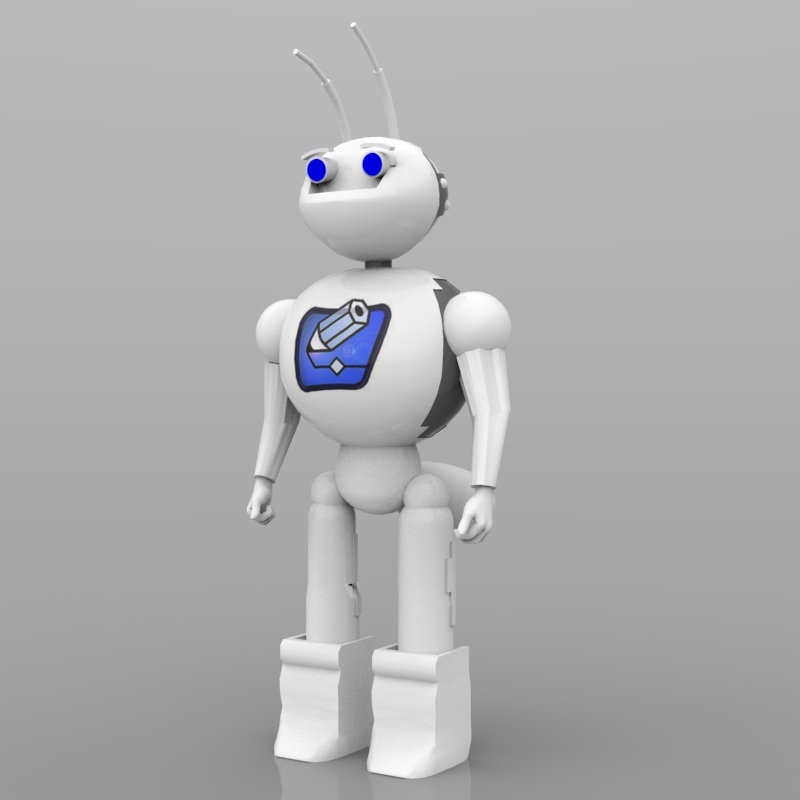 Our team created a fully pose-able Robot Ant model for use in a corporate training video. 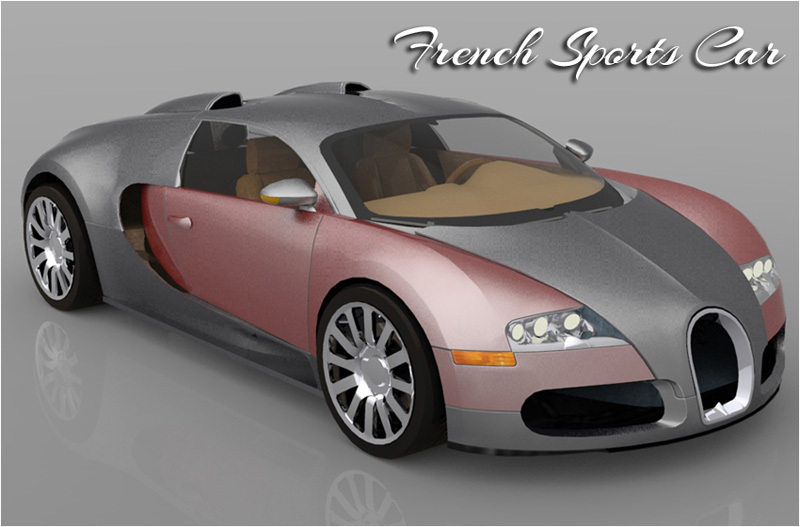 Modelled, rigged, and textured for use in Poser Pro. "Mr. Hoagland and [Vanishing Point] did a most impressive job with designs I needed for an important business plan. His creativity and attention to detail�far exceeded my expectations. More importantly, he made himself available, on a daily basis if necessary, to communicate and tweak ideas as we moved through the design process." "I recently contracted John to build a custom variation of [a starship bridge model] for an animated movie I will be producing. I would like to complement John on his superior work, and excellent customer service. The product delivered was far more than I expected, in both detail, and quality. In the future I will be contracting with John for all of my 3d modeling and production needs. 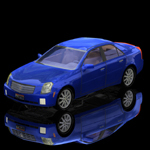 I strongly recommend John and his company Vanishing Point, for any of your custom modeling needs." 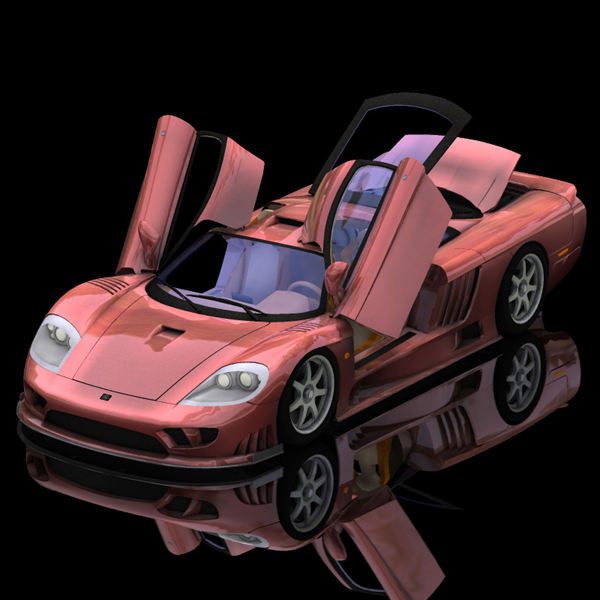 As a Content Paradise partner, Vanishing Point was invited to create models to be included with Smith Micro's Poser 8 (link opens in new window). • Aircraft Starter: A support-vehicle for aircraft; by Touchwood. • "Battle Bob": A mean-looking, grungy attack robot; by mrsparky. 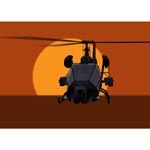 • Heli-Jet Pack: A jet pack with helicopter blades; by mrsparky. • Jet Pack: A jet pack without helicopter blades; by mrsparky. • M1 Abrams tank: A fully rigged modern tank model; by Gunpoint-3d and rigged by Helgard. 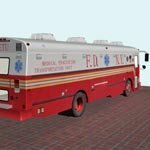 • Med-Bed: A sci-fi medical bed; by mrsparky. • "Robo-Butler": A robotic butler; modelling by JHoagland, textures by mrsparky. • Rukma Vimana: A mythological flying machine from the myths of India, includes many moving parts and detailed textures; by panko. 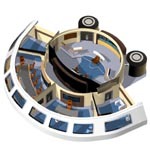 • Sci-Fi Rooms: A set of 4 sci-fi environments, with moving doors, pipes, and loads of detail; by mrsparky. • Tower Crane: Fully rigged and scaled to the size of the Poser people; by EdW. Vanishing Point is proud to announce a partnership with Digimation (link opens in new window). 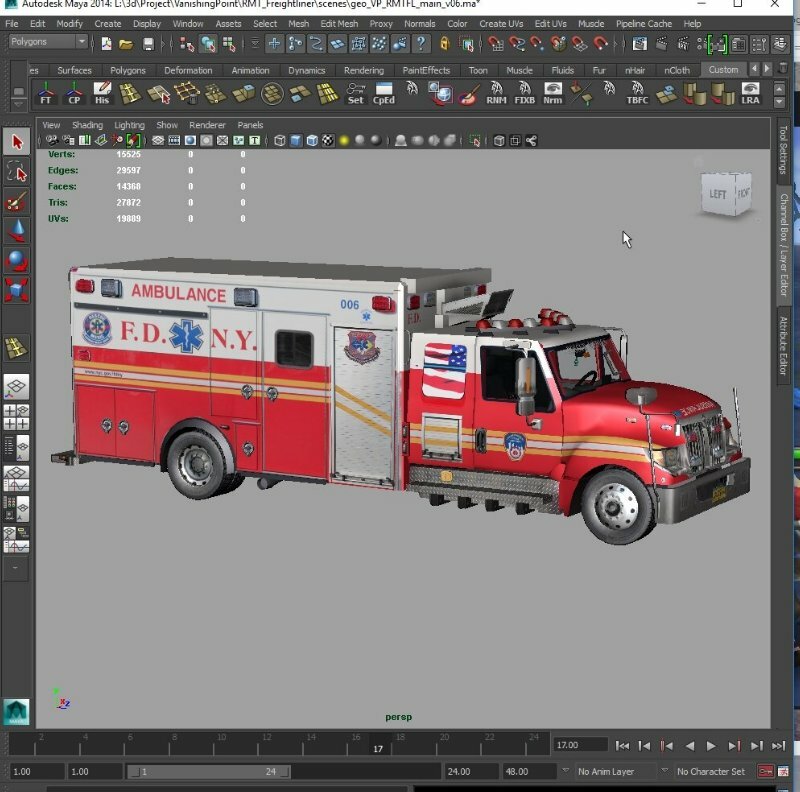 Digimation's award-winning 3D software and models are used daily by professional artists around the world in the production of cinematic effects, broadcast commercials, video games, architectural visualization, and simulations. 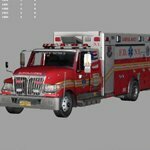 Digimation has been using highly accurate CMM (Coordinate Measuring Machines) hardware and software to scan and digitize full sized vehicles. 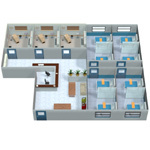 This allows us to produce the most accurate 3D models in the world and yields results which are even preferable to CAD data because of their efficient and optimized nature. More than 90? 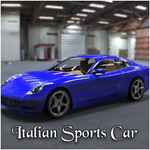 of the cars and trucks have been digitized by hand from the actual vehicle. Each of these models took weeks to complete and The Archive contains over a thousand of them. 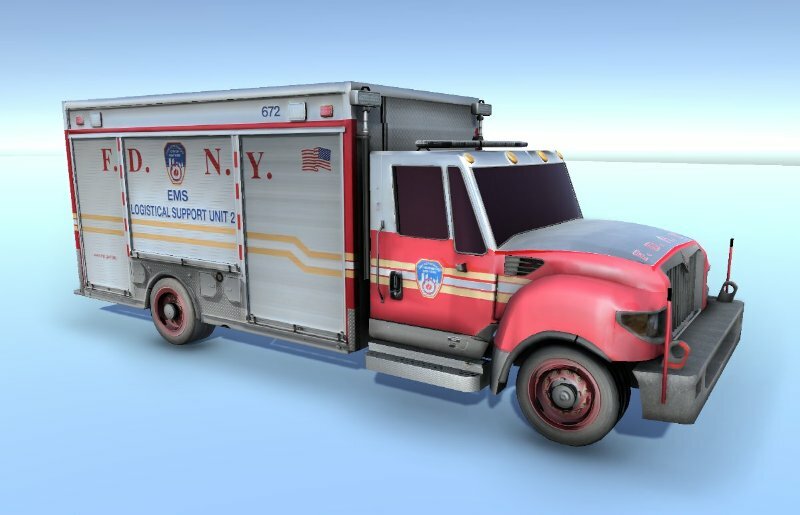 These vehicles have had starring and supporting roles in numerous feature films, game titles, and commercials. 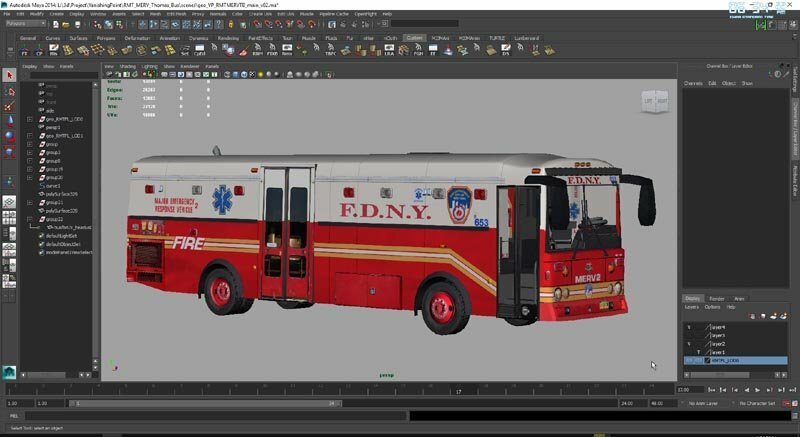 Digitized vehicles provide a high level of detail and unmatched model accuracy, critical when a CG model must stand in for a real world vehicle, or any time absolute accuracy is important. Vanishing Point partnered with Invent, the state-of-the-art €9.3 million innovation centre, located in the heart of Dublin City University campus with it's mission to transform knowledge into commercial success. Invent gives young companies access to the resources of the university and the patrons to help them reach commercial viability, and aims to facilitate the creation and development of innovation-led businesses. 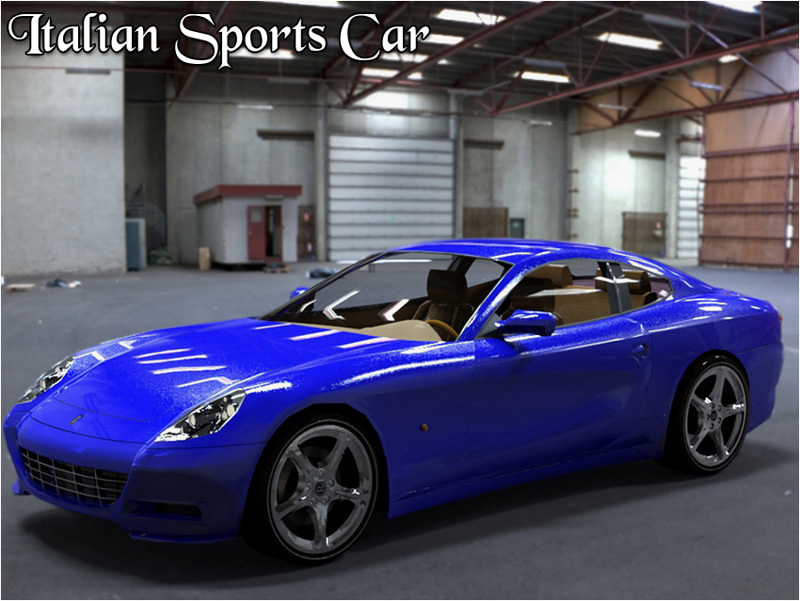 As a Content Paradise partner, Vanishing Point was invited to create models to be included with e-frontier's Poser 7. • "Banshee": a small, one man fighter spacecraft based on a design by mrsparky; modelling by JHoagland, textures by mrsparky. • "SoloShip": a small, aerodynamic one man ship which can be used underwater or in space, by JHoagland and mrsparky. • "Skid Steer Loader": the construction vehicle also known as a "bobcat" and includes fully working lift bucket and pneumatic cylinders, by EdW and mrsparky. • Browning tripod mounted machine gun, with ERC controlled firing and shell ejecting, by Helgard and Panko. 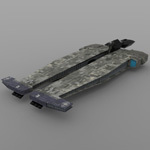 gunpoint-3d.com is a specialized resource dedicated to armored military weapons, the modern and used in world wars. They concentrate on highly detailed 3d models, which produce the most photorealistic images you could ever see on the web, giving you the best material for creating impressive warfare artwork. 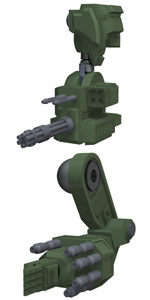 Vanishing Point has been proud to sell Poser versions of Gunpoint's products since 2005. An Argentinian audio-visual film studio which we partner with, to produce animations and movies. Their website is in Portuguese, Castellano, and English. Read more about their production, 1982, We Were There, in English. Comprised of the oldest and most comprehensive collection of railroad history in the Western Hemisphere, the Baltimore & Ohio Railroad Museum, Inc. is a unique cultural and educational asset for the city and the region. * Preserve the physical legacy and experience of American railroading, and to interpret and present its history to the widest possible audience. * Develop programs which broaden and deepen public appreciation of the past, present and future significance of the railroad industry in the development of American life, especially in the City of Baltimore, State of Maryland, and the region. UNICEF makes the world better for kids. The United Nations Children's Fund (UNICEF) works in more than 190 countries and territories to save and improve children's lives, providing health care and immunizations, clean water and sanitation, nutrition, education, emergency relief and more. The U.S. Fund for UNICEF supports UNICEF's work through fundraising, advocacy and education in the United States. We're working toward the day when ZERO children die from preventable causes and every child has a safe and healthy childhood.